Where I live, we have commercials on TV every fifteen minutes touting the two major local metal roof sellers. 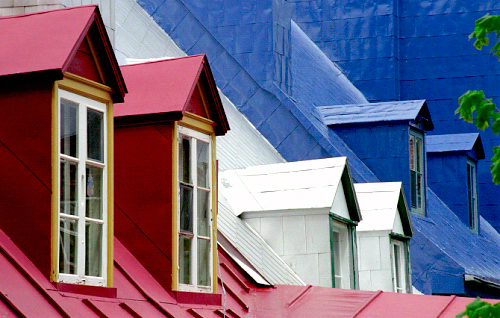 Metal roofing is gaining popularity in parts of the country. Often touted as the more frugal alternative to traditional roofing, a metal roof is supposedly more energy efficient, resists damage better, requires less maintenance, and lasts longer than asphalt shingles. Many can also be quite attractive. They are also fire-resistant. While this is an advantage, I’ve recently discovered that it is a big disadvantage, as well. My in-laws had a metal roof on their house that burned down a few weeks ago. They believed all the hype about metal roofing and when they needed a roof replacement a few years ago, they went with metal. Everything was going great until the house caught on fire. The problem is that a metal roof does not burn. This is great if your neighbor lights up fireworks and a spark lands on your roof. Your roof won’t catch on fire. It’s also great if your house catches on fire when people are home. The fire won’t spread to the roof and may give the occupants additional time to escape. The problem comes when it’s time to fight the fire. A metal roof can handicap firefighter’s efforts to save your house. One way firefighters gain the upper hand on a fire is by punching a hole in the roof (or taking advantage of a hole that has burned through) and spraying water into the house through the roof. They can’t do this with a metal roof. Firefighters are limited to attacking the fire from the sides of the house. This means it will likely take longer to get the fire under control, meaning more losses for you. The other problem is that, if/when the structure below collapses, the metal roof lands on top of the pile of rubble. It will be too hot for anyone to move it for some time (in my in-laws’ case it took four days). During that time, the fire continues to smolder underneath that roof, further damaging anything that survived the initial fire. This may mean that something like a fire safe which holds your valuables and essential papers, that might have survived the initial fire, is subjected to an even longer duration of extreme temperatures and will likely fail. Anything that you might have been able to save will be completely cooked after several days spent smoldering under a metal roof. I’m not against metal roofing. I simply want to point out that there some negatives to this material that are not discussed often. I don’t know that anything would have saved my in-laws’ house. All I know is that the efforts of the firefighters were hampered by that roof. Metal roofing does have its positives. When considering a metal roof, or anything else, for that matter, don’t just listen to the positives that the sellers tell you. Evaluate the negatives, too, and decide whether or not they are negatives or risks that you’re willing to deal with. If so, choose the product. If it’s a concern to you, choose something else.